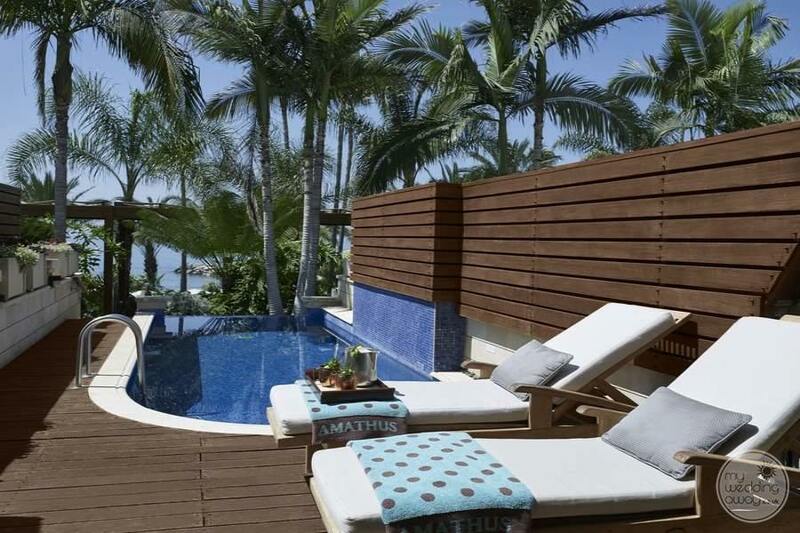 Ideal for: Couples looking for a sophisticated yet warm and friendly atmosphere. 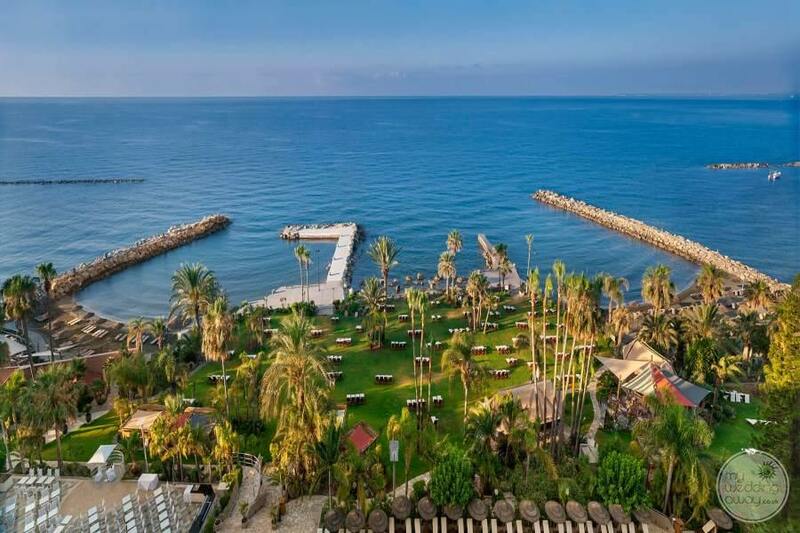 The Amathus Beach Hotel is a member of the prestigious ‘Leading Hotels of the World’ and remains one of the most elegant resorts in Cyprus. 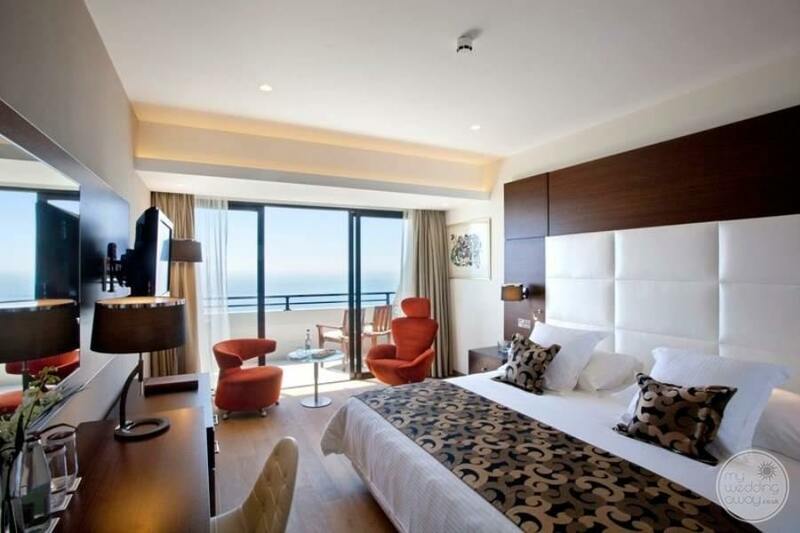 Newly renovated, this award-winning hotel goes to great lengths to cater to a sophisticated crowd. 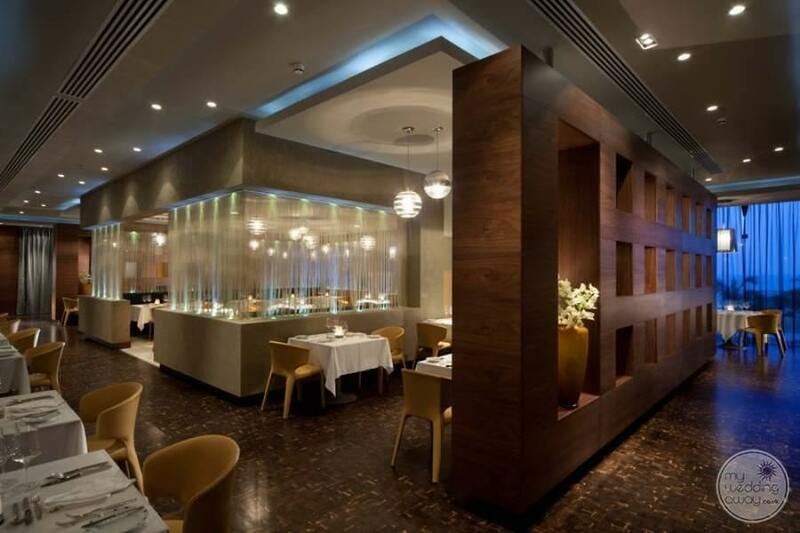 Without a doubt, it succeeds but manages to do so without losing its warm and friendly charm. 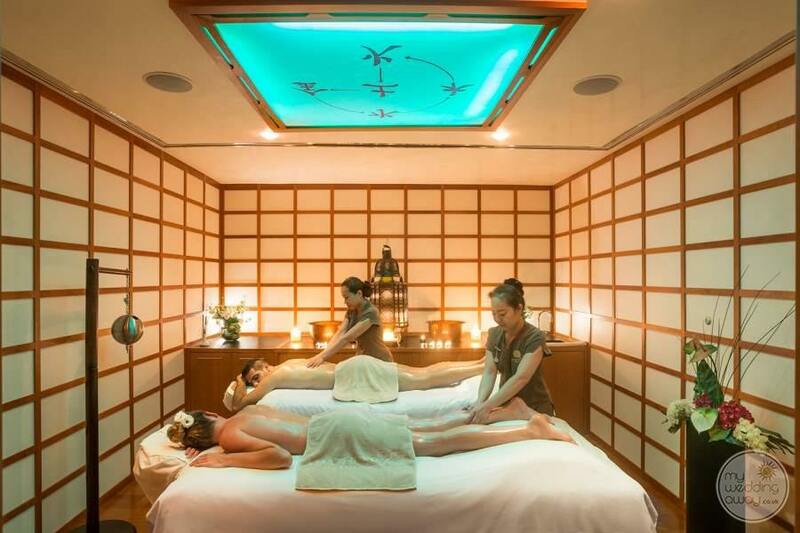 Wonderfully positioned, between manicured gardens and a crystal clear sea, this relaxing retreat offers holistic experiences, luxury indulgences and an array of amenities to suit both romantic couples and memory making families. 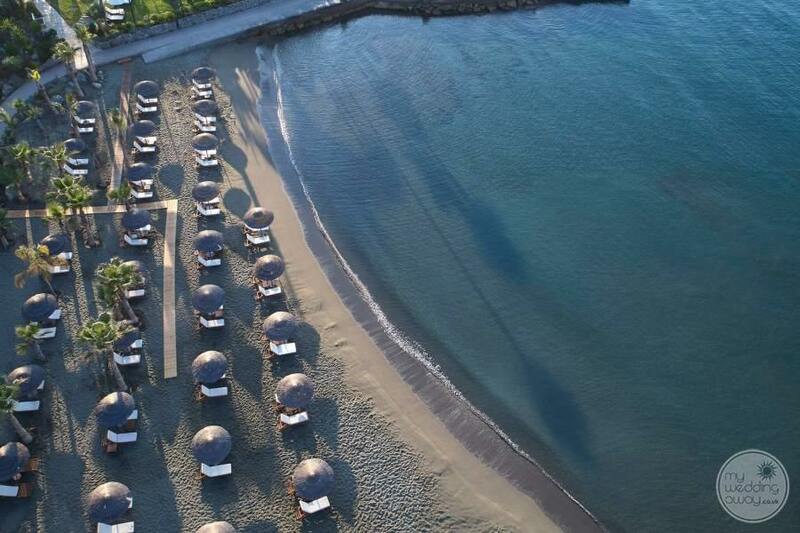 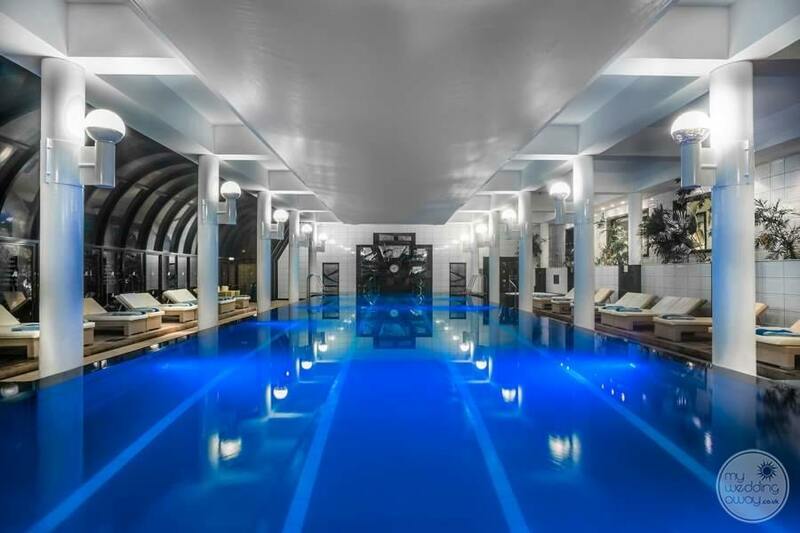 The Amathus Beach Hotel offers a great range of upscale facilities & services ensuring the ultimate holiday experience. 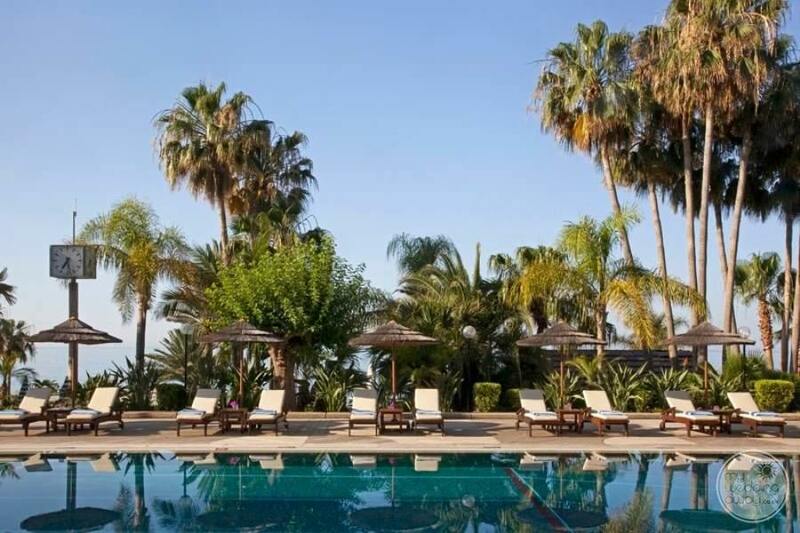 From sunbathing, swimming, jet skiing and diving to tennis and a world-class golf course situated nearby. 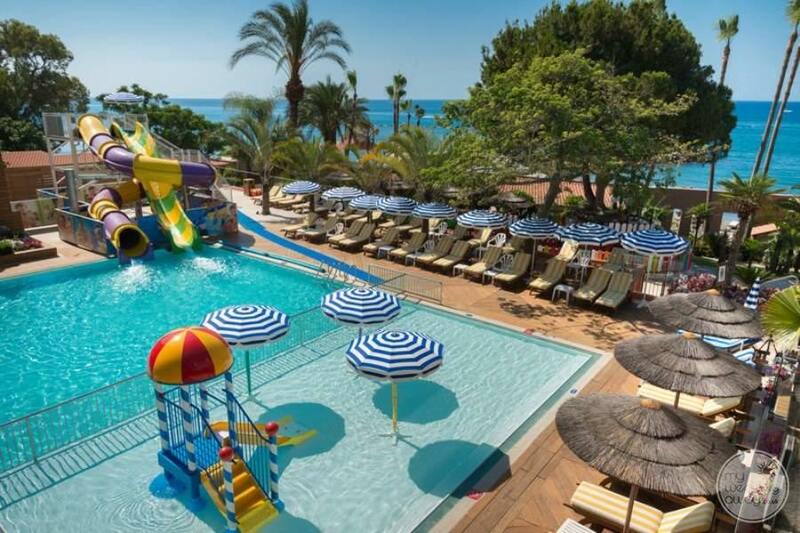 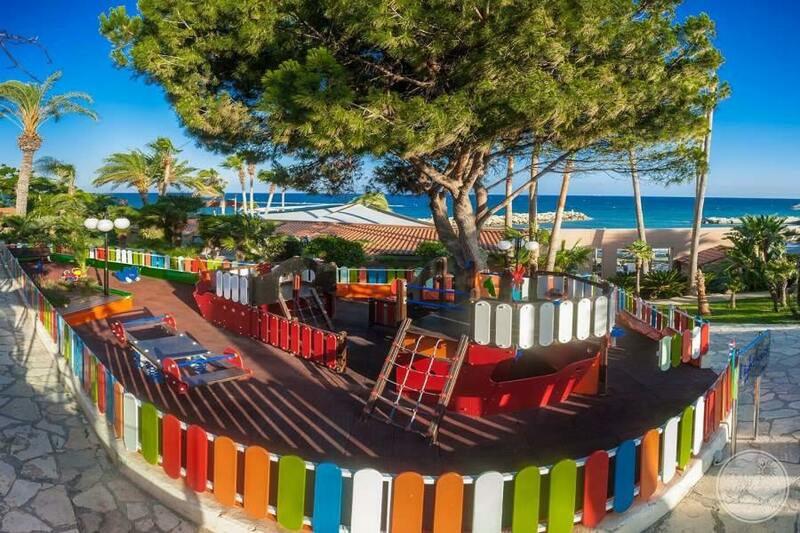 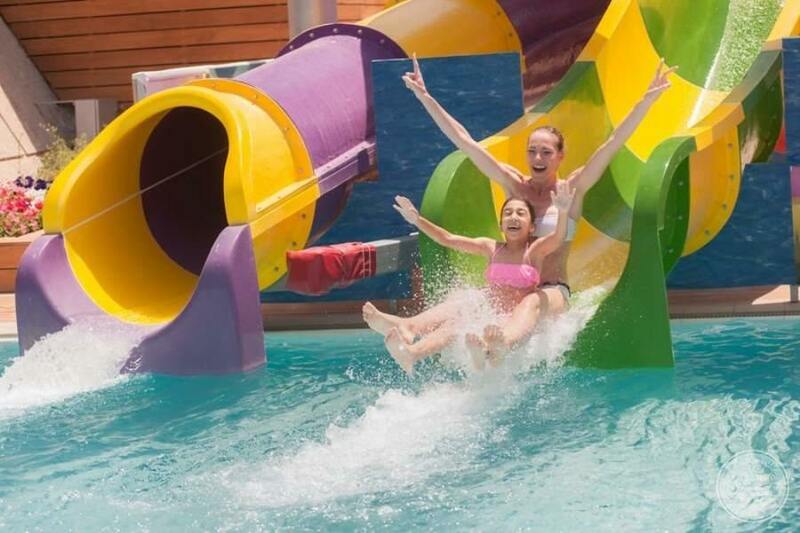 Parents may slip away to the tranquility of the adults only pool while their children enjoy the children’s club. 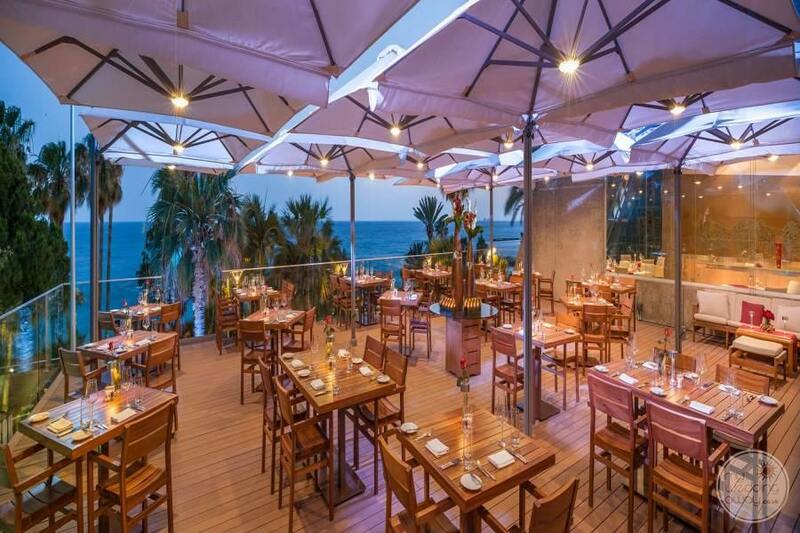 We’re pleased to report that the theme of luxury continues at the resort’s 5 restaurants where gourmet dining awaits. 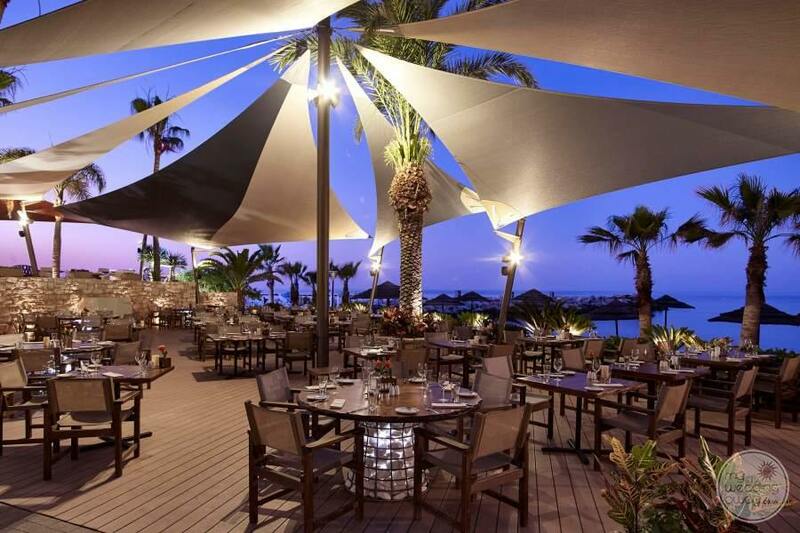 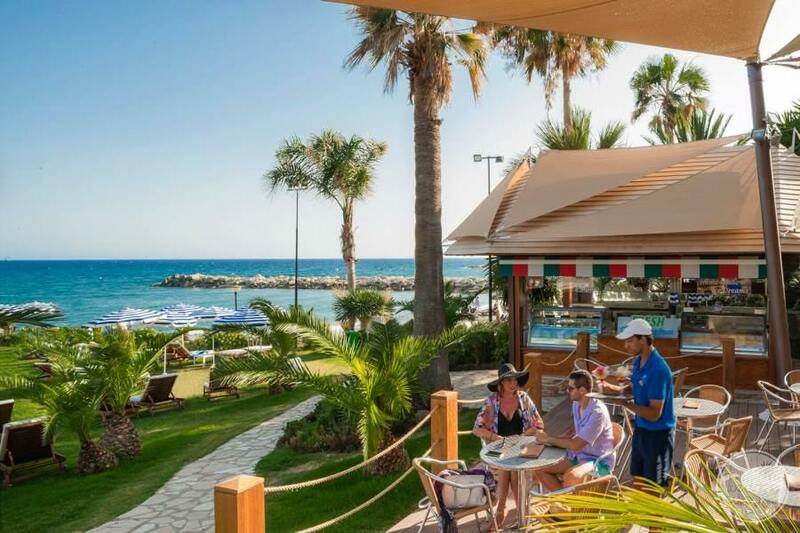 The Limanaki fish restaurant, one of the most famous gourmet restaurants in Limassol, is a seafront fish restaurant luring guests with its distinctive flavours and its tranquil ambiance. 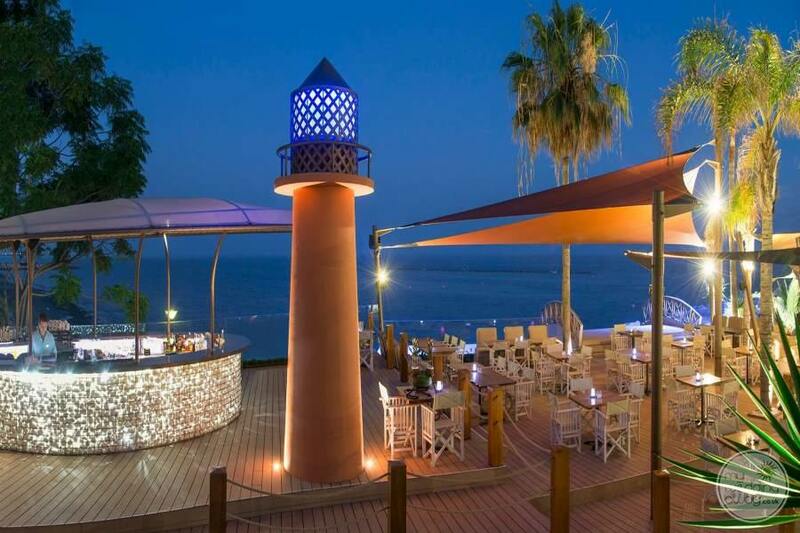 Also, Diners favouring international cuisine are welcome to dine at the utterly romantic Cyan restaurant. 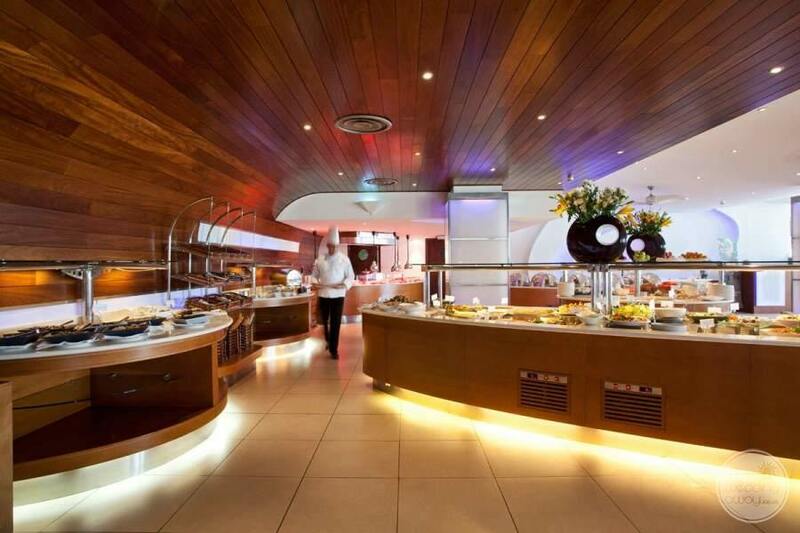 Meanwhile, meat lovers can delight themselves with prime cuts at the Grill Room. 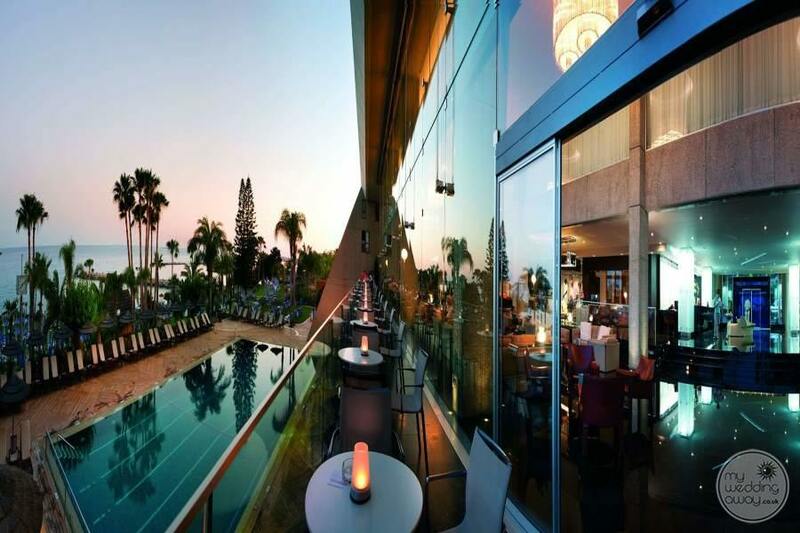 Afterwards, visit one of the 3 cocktail bars and drink in the fabulous views. 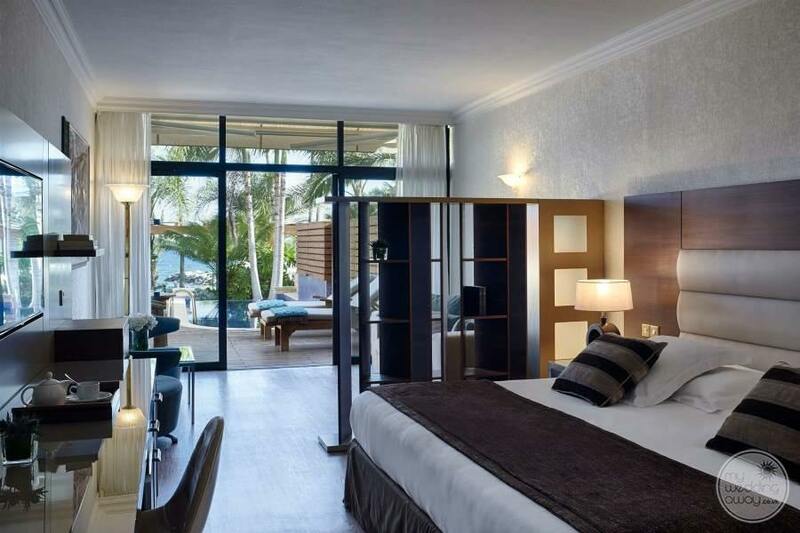 Rooms and suites are light, airy and chic boasting cool linens, sumptuous furnishings and numerous modern amenities. 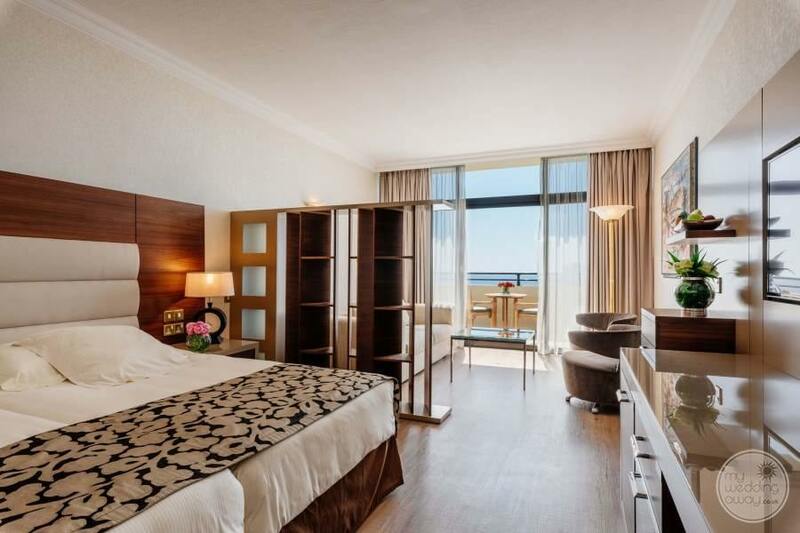 So whether you opt for a room with a view of the manicured gardens or a romantic junior suite with private pool, you can’t help but relax and unwind within the Amathus Beach Hotel’s ambience of unsurpassed luxury. 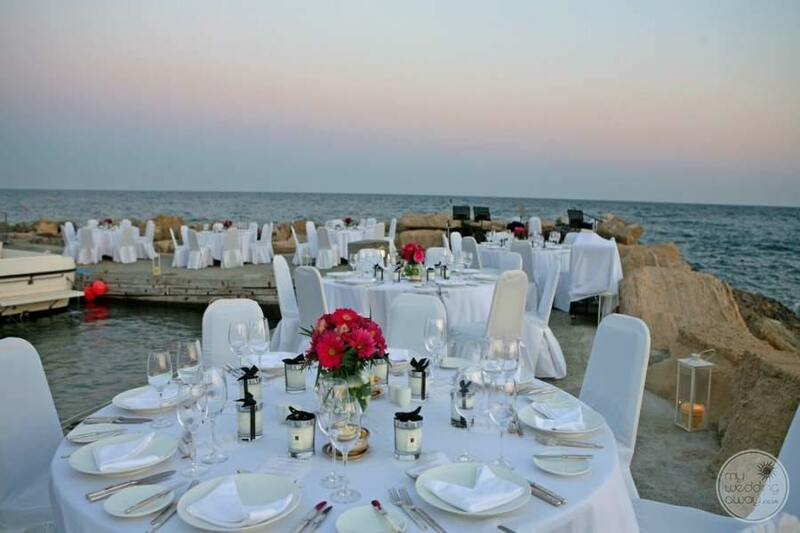 Idyllic locations, gourmet dining and a backdrop of stunning ocean views. 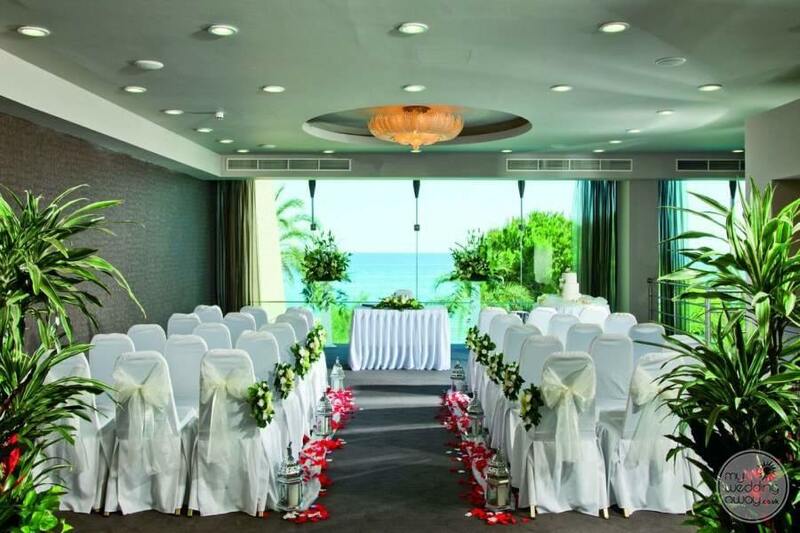 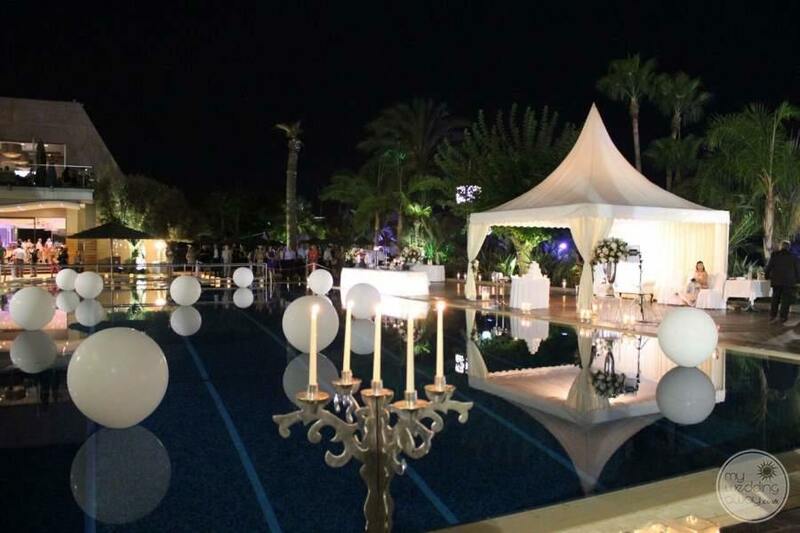 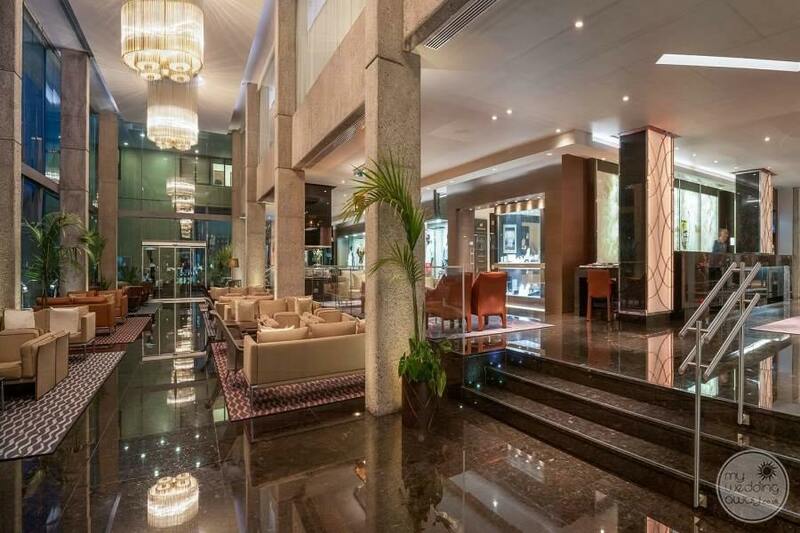 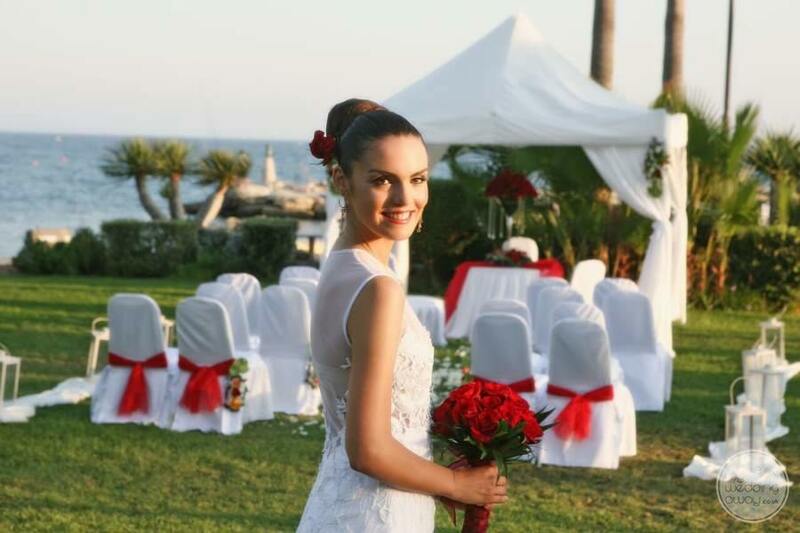 So we can see why many consider this luxury hotel to be the ultimate venue for a dream wedding in Cyprus. 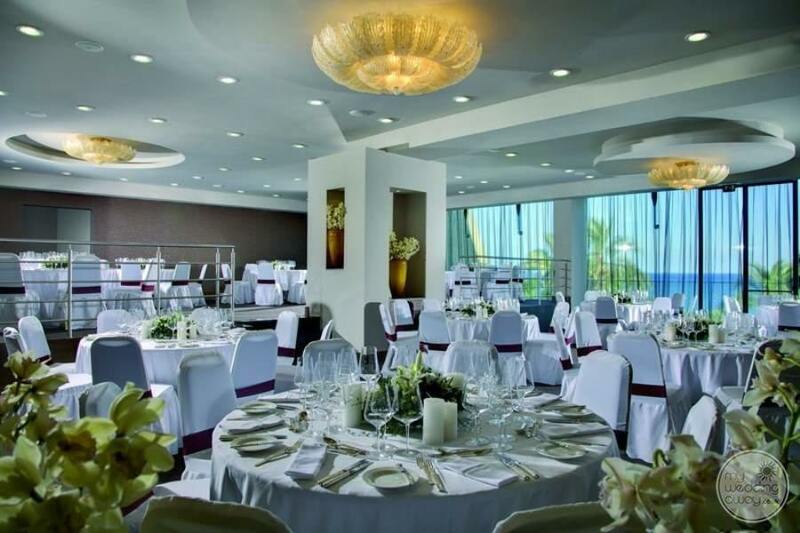 From small intimate ceremonies in one of the elegant indoor settings to lavish affairs on the romantic beachfront, you’ll be in expert hands.